With a variety of screen sizes and an ever growing range of high-tech mobile devices being used to browse the internet (e.g. tablet, laptop and smartphones) there is now more pressure than ever before to come up with better websites that look great and work well no matter what device they are being viewed on. In the past, web design was based on layouts that are fixed. While a common screen width of 1024 pixels is considered quite a safe size to use for any website, it does not work well on very smartphone screens and can result to websites looking a little lost on large desktop screens. The old method for dealing with this issue has been to develop two separate websites, where one experience is optimized for desktop and the other for mobile – but this means that two sites have to be well taken care of, raising the maintenance and development costs. 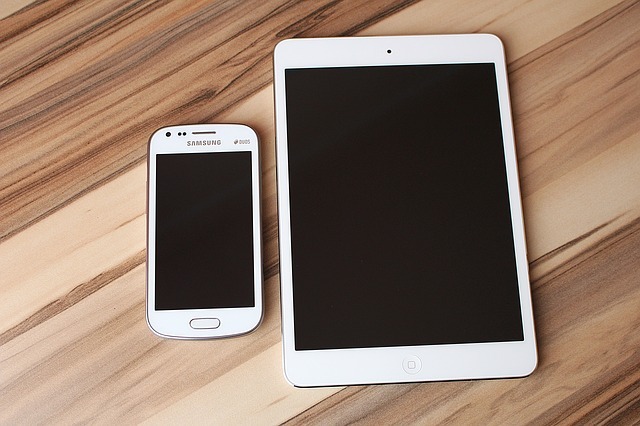 It also disregards the numerous devices that now come between desktop and mobile sizes – e.g the iPad. Responsive web design is an approach that web developers and designers take to adapt the plan of a website to enable large and small screen devices to share same content and code base without requiring separate site properties. Through responsive web design, one only requires developing a single codebase for all users, regardless of whatever device they use. Fluid layout: Allows the page elements layout to shrink or grow to pre-determined minimum or maximum widths, thus accommodating a width range where the browser can acclimatize the layout. Media queries: Allow users to specify the type of style sheet they will use when a preferred width has been detected or reached. Viewport: Informs browsers that the website is optimized for mobile viewing as well as to render the page on the height and width of the devices. By bringing these elements together responsive web design has now made it easier and simpler to deliver experiences optimized for end-users within one codebase and without web properties. While the creation of HTML 5 has brought these methods on the limelight, they have been around for much longer in their own. As a customer, you are only required to pay for the development of a single website. No mobile websites or mobile apps are necessary. There is only one site that requires support too, and this ends up cutting down on monthly website support costs. Updating fresh content is quite easy when there is only a single place for it to go. Therefore, no matter who is carrying out the update work, it will save you more time and money. Google gives a lot of love to websites that are mobile-friendly. With over 50% of Google searches being performed on mobile devices, your business website has to be mobile-ready. Google flat out rewards mobile-responsive websites in the mobile searches. Using the “mobile first approach” when planning for responsive web design can lead to a faster and cleaner performing code on desktop and mobile size devices. Using responsive web design in your website design means the site will get more and more visitors with different mobile devices like phones and smart tablets. Visitors are also more likely to purchase products and services from a site that really works well on their mobile devices as well. Bottom line, if your website isn’t mobile-responsive you are potentially missing out on at least 50% of your potential customers and possibly ruining your brand. The more mobile devices play a role in website interactions, you don’t want to be known as the mobile-unfriendly company! We specialize in mobile website design and can make sure your website is operating at 100% of it’s potential. Give us a call at (402) 522-6139 or drop us a line and we’ll give your website a full mobile ‘checkup’.